Just days after Perles resigned in late November, MSU wiped out a nearly-$200,000 debt he owed the university, according to an investigation by the Detroit Free Press. 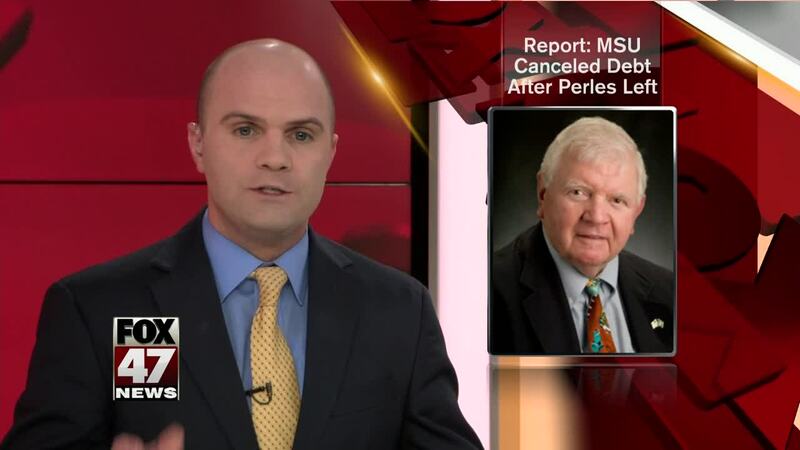 EAST LANSING, Mich. — A new report is shedding light on former Michigan State University trustee George Perles' resignation last year. Just days after Perles resigned in late November, MSU wiped out a nearly-$200,000 debt he owed the university, according to an investigation by the Detroit Free Press . The newspaper cites confidential donation records it obtained. Sources told the newspaper that the directive came from then-interim MSU President John Engler, who stepped down last week after continued backlash over comments he made about Nassar survivors. The debt that Perles, a former MSU athletic director, owed, was the remainder of $500,000 toward the cost of a $1-million plaza in front of the MSU football building. Perles cited complications from Parkinson's Disease as his reason for stepping down from the MSU Board of Trustees.